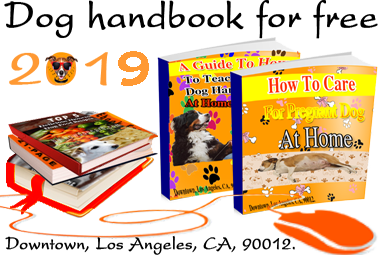 Home Dog Health How To – When My Dog Is Sick? Are you noticing your dog is not as active as he was three days ago? Do you feel he is in a state of lethargy and you just can’t figure out the reason? Your dog might not be feeling well inside or he might actually be sick. Most of the times dogs usually put unhealthy stuff in their mouth, it’s not always harmful but you never know that the germs might instantly affect him and cause sickness. If you see your dog constantly drooling, licking his lips or swallowing his food excessively and heartlessly, know that there is something wrong, because these are one of the symptoms showing that they are quite sick and need your care instantly. When dogs feel gastric irritation, they often eat grass to relieve the pain caused by it. To know that your dog’s stomach is giving him trouble, notice if there are strong abdominal contractions which will often be followed by a vomit. This is a warning sign for you because you will need to take him to a vet because he is definitely ill. Many a times, dogs fall sick due to the irritation in their stomach, or something that prevents the digestion process in their stomach. This usually happens due to the dietary indiscretion and scavenging, so it is very important that you keep an eye on what he is eating. There are also other causes that might lead to his sickness, including, various infections, parasites, toxins, foreign bodies releasing germs and even some plants. The most painful illnesses in dogs are kidney, liver, or pancreatic disease and cancer, so you must always be on the look out and be aware of your dog’s health, in order to prevent him from any permanent illnesses. Put away food or water for two hours at least after he has had his meal. Remember to only give him healthy dog food and treats. After 2 hours, give your dog water in very small amounts of water like a few tablespoons and do not give him food for another 10 hours. When vomiting has stopped for a day or two, start giving him small meals maximum 3 tablespoons of bland food in every 2 hours. Keep this up for a day or two, once you feel that the digestion process has improved, you can get your pet to his normal diet. If in case your dog continues with his vomits and is not feeling any better with one meal a day and shows signs of sickness and lethargy, it is wise to call you vet. It is important for you to call the vet because they will give him due care and diagnose the issue that is causing the sickness.